West Ham United boss Sam Allardyce is supportive of the UK’s work permit laws. 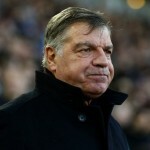 Allardyce has rejected suggestions made by Arsenal manager Arsene Wenger that English football’s work permit rule should be scrapped. “There’s already a massive influx of foreign youth coming to academies and us losing the opportunities for young British players to take up those places. “That (abolishing the work permit rule) for me, as an Englishman, is a real no-no. I’m sure Arsene, if he was working in France, would have a similar opinion to me. “Protect your own. We very rarely do it in this country and haven’t done it up until now. “We’ve got to do it somewhere along the line and get more British players through.